Essex County OPP is looking for assistance in identifying the male pictured here. Police say that on October 15th, 2017 a woman parked her vehicle at an establishment in the town of Essex. While she was inside the business, the male suspect entered the vehicle and removed a credit card. 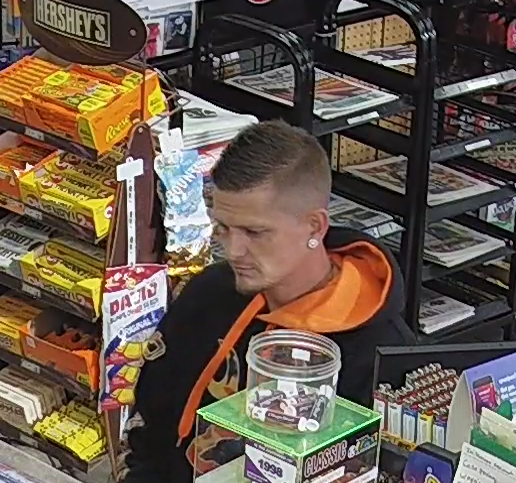 The around 4:30pm the same day, the suspect male was captured on video surveillance using a credit card at a gas station in the town of Lakeshore. The credit card was subsequently used at three other businesses by the same suspect. Police are asking that anyone able to identify the suspect immediately contact the OPP CSCU at 519-723-2491 or Crime Stoppers at 1-800-222-8477 (TIPS).